That to-do list to have when temps dip below freezing point may include look for mittens because fingers freeze in gloves, buy under armor shirt and tights (they really help), add a scarf to your coat and hat ensemble. Then, ta da, add what you really want – Fuel Up on Comfort Food. 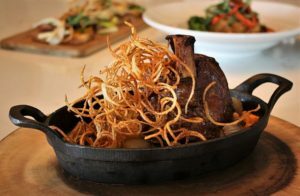 Here are some suggestions in no particular order of places to go and comfort food to try to get through the winter. But please add your own suggestions in the comment area. 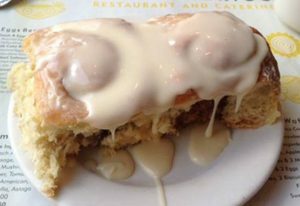 From the Crab Cake Benedict to the Build Your Own Omelet, everything on the Ann Sather breakfast menu is comfort food, but our family’s fave is the deliciously sticky cinnamon roll. Ask for extra napkins. 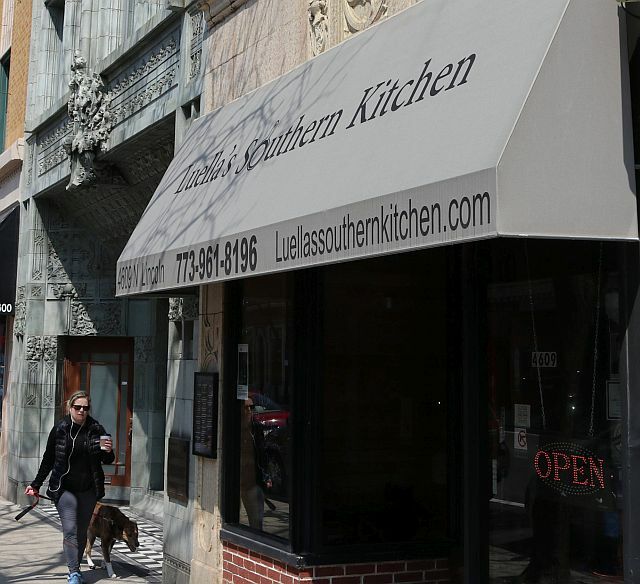 Ann Sather is at 909 W. Belmont, 3415 N. Broadway and 1147 W. Granville (at Broadway) in Chicago. Walker Bros. apple pancake. 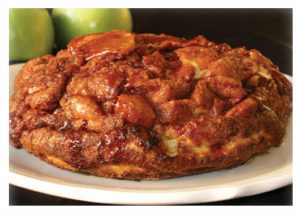 (Photo courtesy of Walker Bros.
My two Walker Bros winter favorites are the Apple Cinnamon Pancake, a deep-dish splurge of fresh apples, Sinkiang cinnamon with a sugar glaze that is so large I take half to go to continue the comfort at home, and the Crispy-Crunchy French Toast that is dipped in corn flakes, grilled and topped with banana slices, whipped cream and dusted with powdered sugar. Yum! Walker Bros is at 825 Dundee Rd., Arlington Heights, 1615 Waukegan Rd., Glenview, 620 Central Ave., Highland Park, 767 S. Rand Rd., Lake Zurich, 200 Marriott Dr., Lincolnshire, 153 Green Bay Rd.,Wilmette and 18 S. Roselle Rd., Schaumburg. I went to Miramar Bistro to have its divine mushroom soup for lunch but then added a half Croque Monsieur sandwich. Wow. 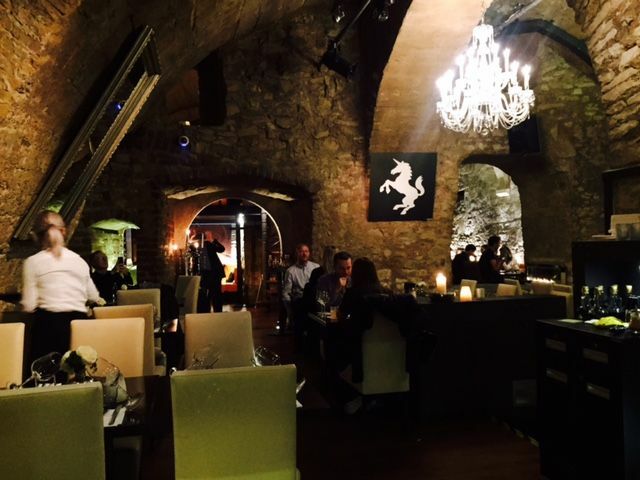 Ham and cheese seldom tastes as good or warms the insides this well. The Croque Monsieur is a grilled fine ham and Gruyere cheese concoction that has been slathered in a terrific béchamel sauce on good, country-style bread. It is large enough to share. 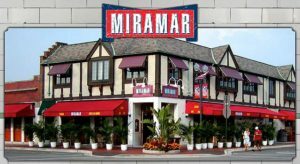 Miramar Bistro is at 301 Waukegan Ave, Highwood. I love the honey butter that Three Embers, Lincolnshire Marriott Resort’s fine dining restaurant, puts on the table (they have their own bee hives) and like their salmon, but what I enjoy in the winter and return for on my birthday in February is their perfectly braised pork shank in a pinot noir reduction with flageolet, escarole and root vegetables. Three Embers is at Ten Marriott Dr., Lincolnshire. Some of Hoosier Mama’s pies. (Photo courtesy of Hoosier Mama Pie co.
Hoosier Mama pies – any of them, are comfort food. The pie place is a full restaurant where you can get a savory or sweet pie to eat in or order to take home. They are very rich. My favorite savory is Chicken Pot Pie. 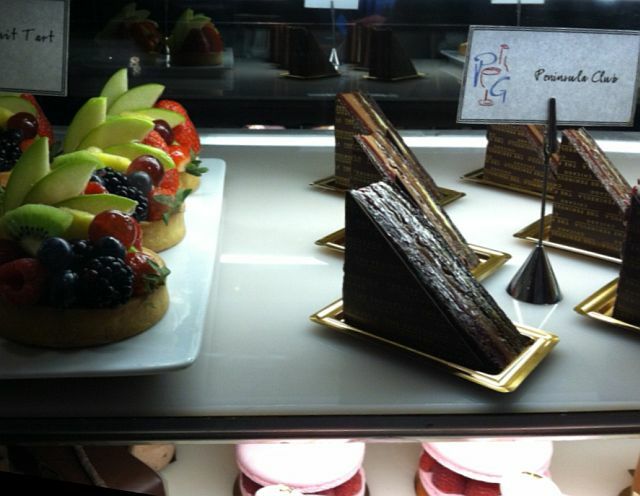 Sweet is Chocolate chess. 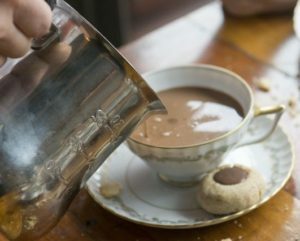 Any of the hot chocolate drinks take the chill out of Chicago weather but I usually go for the Old Fashioned of medium hot chocolate, milk chocolate cocoa nib, whipped ganache. Mindys Hot Chocolate is at 1747 N Damen Ave, Chicago. 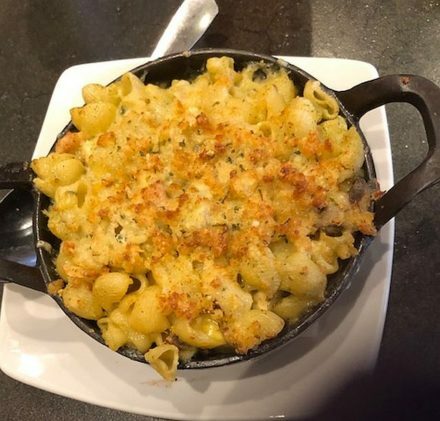 OK, I agree I haven’t tasted every Chicago restaurant’s mac ‘n’ cheese so if you want to suggest one put it in comments.